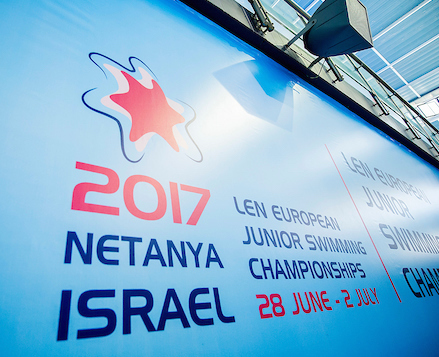 Quite a day to finish an outstanding meet: records were flooding in Netanya at the European Junior Swimming Championships as three junior world marks and two more European records were set by the continent’s best teenagers. Russia and Hungary were tied on gold medals, though the Russians topped the count and won the Championship Tropy. Hungary’s Ajna Kesely closed the event with 6 gold medals. European juniors proved their quality on the last day of the event as well as they cracked a handful of records. Italy’s Nicolo Martinenghi bettered his own global mark in the 100m breast, while Moldova’s Alexei Sancov thrashed the 200m WJR while winning a brilliant battle against 100m champion Nandor Nemeth (HUN), edging him out by 0.14sec. In the 100m fly, the very same margin separated Russia’s Egor Kuimov and another Hungarian, Kristof Milak. Kuimov needed a new European Junior Record to clinch the title ahead of the winner of the 200m. The Hungarian boys captured a title, though, as Balazs Hollo maintained his nation’s traditions by coming first in the 400m IM. After turning 5th at the half-way mark he staged a hell of a finish and touched the wall ahead of Britain’s Thomas Dean who triumphed in the 200m. Italians enjoyed a fine finish, Leonardo Deplano won a thrilling 50m free final with a gap of 0.07sec. The last title also went to the Squadra Azzurra as they brought home the medley relay gold. Martinenghi was part of another world record beating performance since the quartet smashed the WJR. Among the women, Polina Egorova and Daria Vaskina made a Russian 1-2 in the 100m back, Egorova set a new EJR en route. Ireland’s Mona McSharry made the 50-100m double in the breast, while Netherlands’ Marrit Sternbergen added the 200m IM title to her 100m free crown, a rare pairing indeed, as she won a very nice race which saw the first five coming inside 0.97sec. Belorussia’s Anastasiya Shkurdai won the fly dash with a 0.09sec advantage while the Hungarian girls retained their 4x200m relay title from last year, securing a golden tie with Russia (11 titles apiece) and a 6th victory for Ajna Kesely whose total junior European title count stands at 10 now. Russia tops the medal table with 11 gold, 12 silver and 7 bronze, Hungary collected 11-8-2, while Italy follows with 5-3-3. The Russians clinched the Championship Trophy as it has been usual in recent year, ahead of Italy and Hungary. Netanya was a worthy host of a magnificent event which saw 4 World Junior Records, 3 European Junior Records and 9 more Championship Records. The next turn is due in Helsinki (FIN) in the summer of 2018.